Passover, also known as Pasche, is one of the most commonly observed Jewish holidays. It originates from the story of the Exodus described in the Bible, a commemoration of their liberation by from slavery in ancient Egypt under the leadership of Moses. During the festival, people eat unleavened bread called "Matsa" to commemorate the day in which the Israelites were freed from Egyptians' slavery. 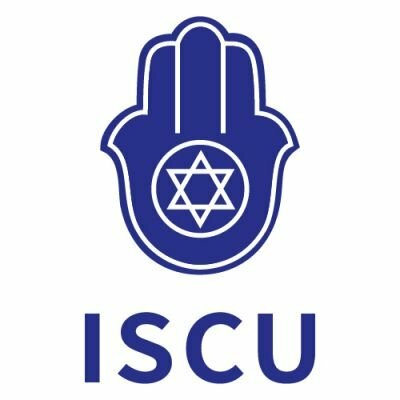 When ancient Jews were in Egypt, they lived miserably under the oppression and enslavement of Egyptians. God chose the 80-year-old Moses to lead the Jews to leave Egypt. But Pharaoh of Egypt opposed God, and treat the Jews even more badly. God punished the Egyptians with 10 terrible plagues including a river of blood, many frogs, and darkness for three days, but the Pharaoh's heart turned harder, and persisted in his unwillingness to release the people. 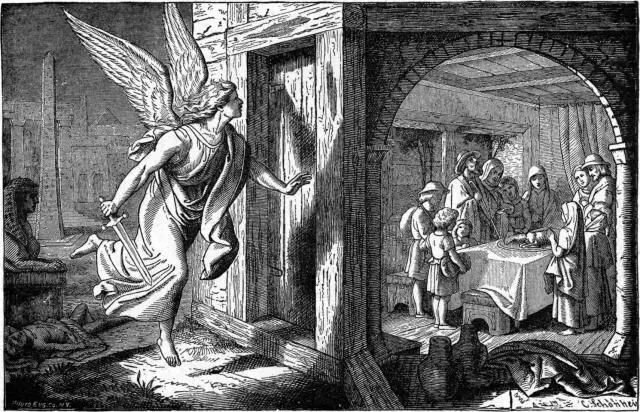 Passing homes of the Israelis, all the firstborns in Egypt were punished by the angels, including pharaoh's eldest son. Afraid of god 's power, pharaoh had to let them go The Pharaoh capitulated after the tenth plague, triggering the Exodus of the Hebrew people. Leaving in haste, the Jewish didn't have enough time to prepare dry food with them except unleavened bread, which were later called Matsa. 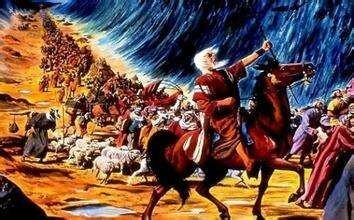 However, as the Jews reach the Red Sea, the Pharaoh changed his mind again and sent his army after Moses' people. God split the sea, and the Jews were able to pass safely like walking between two walls. As the Egyptian army descended on them, the sea closed before they could reach the Jews. 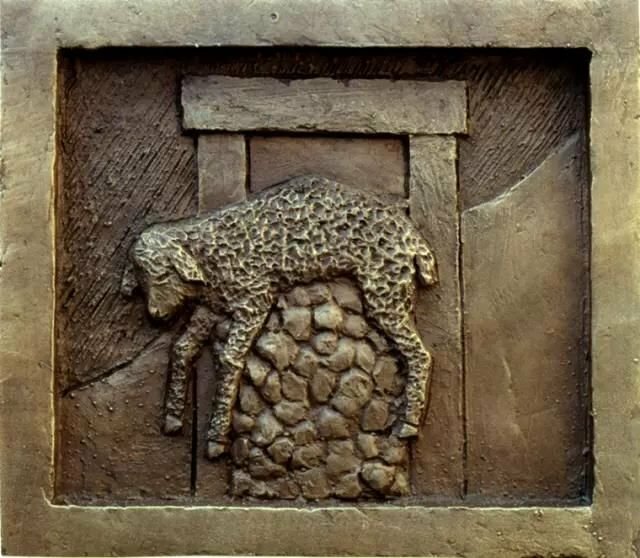 So, "Passover" has two meanings: one is the angel pass Jewish houses at the sight of lamb blood on the lintels; the second is Mose led the ancient Jews pass the Red Sea to reach the promised land of Canaan. 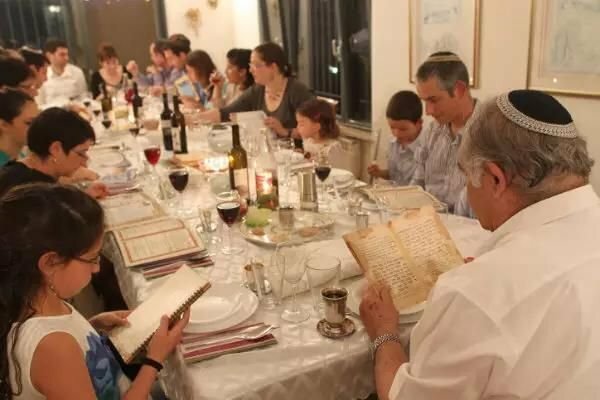 Seder is the Jewish ritual feast on Passover, with complex and symbolic procedures. The Passover celebrations were in a fixed format by the time of the destruction of the Second Temple. First of all, the house needs to be cleaned thoroughly on Passover so that all leavened food----including bread and grain will be removed. 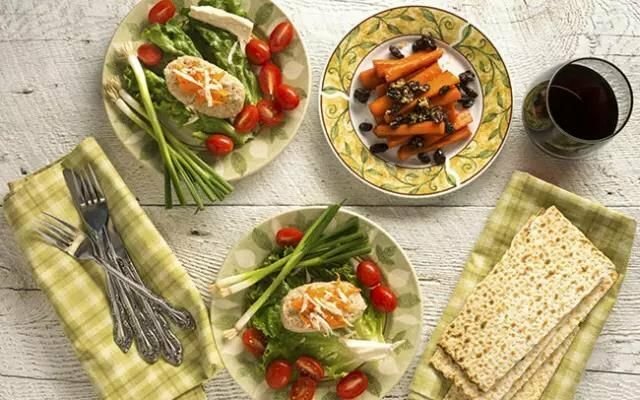 Moreover, tableware that have installed fermented food at usual cannot be used on Passover. A traditional Jewish family usually owns two to three sets of tableware, one for dairy products, one for meat dishes, and one for Passover. Roasted shank bone symbolizes the sacrificial lamb that was killed on Passover. Roasted egg symbolizes the sacrifice and mourning for the destruction of Jerusalem temple. Charoset is a paste made of apples, nuts, cinnamon, wine and ginger, representing the mortar Israelites used while building structures for Egyptians. Maror (bitter herbs) is a salad mixed by chicory, radish, black radish and horseradish, representing the bitterness the Hebrew ancestors experienced both physically and mentally. Karpas is a kind of umbellate plant (e.g. Parsley, celery), which symbolizes the karpas used to daub the sheep blood on the lintels in ancient times. Salt water commemorates the tears and sweat of Jewish slaves. Matsa is a commemoration of Jewish people’s liberation from slavery in ancient Egypt, leading a new and free life. Among the symbolic foods, roasted shank bone and roasted egg are only prepared as remembrance. Salt water and should be kept in different containers. After eating the symbolic food, meat, vegetables and fruits can be served. People should eat in a joyful and relaxing atmosphere. Today, Jews all follow the old traditions in the era of Jesus ——he also ate lamb at the last supper ——the Passover lamb. It is worth mentioning that, at the beginning of the dinner, people will eat the half of matzo with bitter herbs. hides the other half "afikoman" for the children to find, and rewards the one who find it with a special prize. After the meal comes the prayer, followed by several lyric prayers that expound upon God's mercy and kindness, you can continue singing joyful songs after all the ritual jobs have been done. 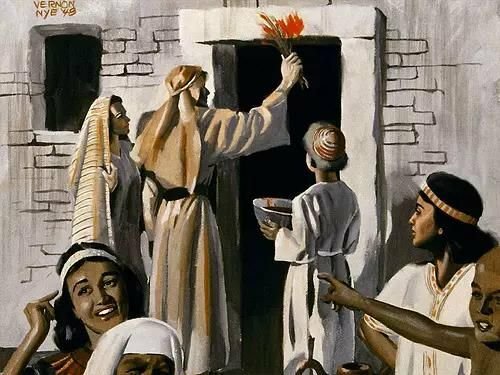 Every year on Passover, Jewish people will retell the story to their children and give thanks for the survival of the Jewish people through a history of exile and hardship. PASSOVER CERTIFICATE refers to the food, medicine, cosmetics and so on that meet the Passover standard. Passover is also known as the "Festival of Unleavened Bread". As the name suggests, it refers to the ritual that fermented food, beverages, drugs, cosmetics are not allowed to eat and use on Passover. 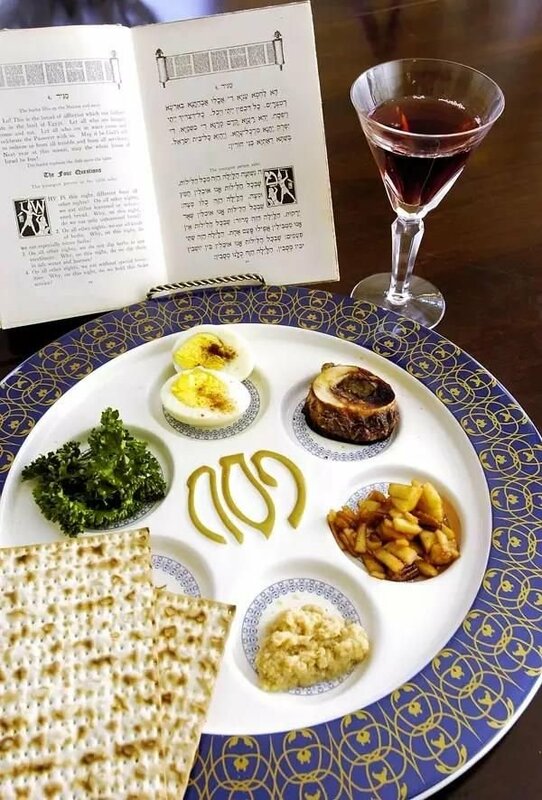 The purpose of its Passover certification is to ensure that Jewish people can avoid eating leavened products and their derivatives on the premise of maintaining kosher diet during the Passover. Therefore, Passover certification is known as one of the highest standards of kosher certification.